Mr. J has been saving his money, and when he received a chapters card for his birthday, decided he wanted to buy some LEGO with it. Between the card and his cash, he had $60.00 to spend. We headed to our local Chapters location on Sunday morning. He browsed the books, but quickly decided that his money was better spent on something else, since he can borrow books from the library for free. When we got to the LEGO section, he had a very hard time choosing. The 2 sets he wanted the most were quite a bit more money than what he had to spend. I told him we could leave, and he could continue saving his money, or he could choose something else. After what seemed like forever, he finally made his choices and picked 2 sets (a small one and a medium one). When he was done paying, I asked if he would like to continue our "date" with a treat from Starbucks. He was thrilled, and even more thrilled that I paid for it and he was able to keep his $6.75. Do you take your kids on dates? What's their favourite thing to do? It's so much fun - and great bonding time! 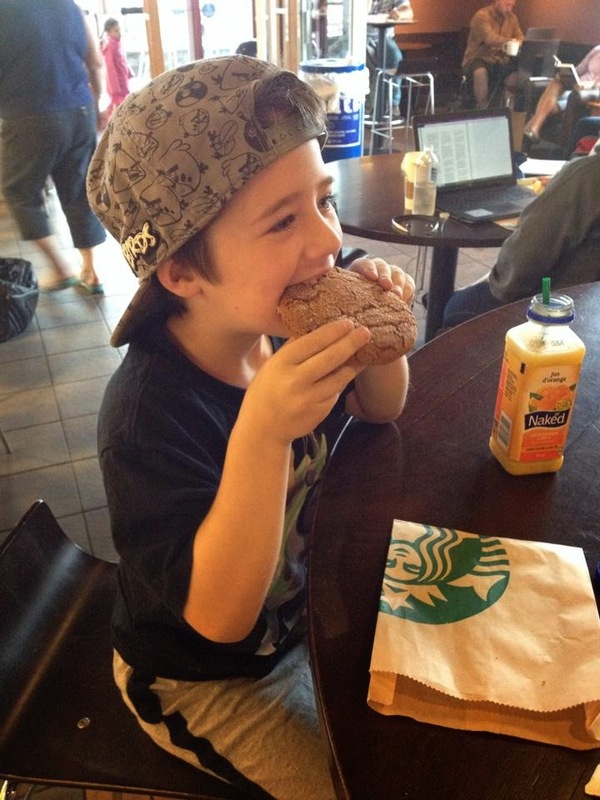 Looks like he had a fun day at Chapters :) We love going to Chapters. We occasionally do musical dates, picnics and geocaching. Great day you had! 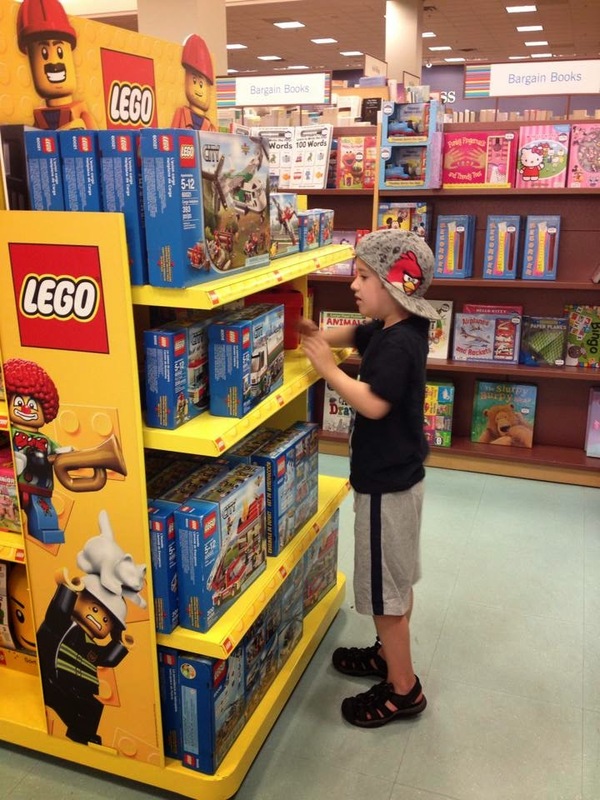 I remember watching my boy standing in front of the lego shelves and trying to decide what to get....many many times! Kinda miss those days now that he is a teen. We had those "dates" but would go to stores that had the hard to find stuff, just to look around.... on rare occasions he'd score something really cool. Other times we'd go on a hike, go fishing, anything that allowed us to sit and chat about anything and everything. I love the idea of taking your kids on "dates." He looks super pleased with the day! How sweet is this and how special you made him feel, I'm sure. BTW, I just love his hat! Sounds like a great date. I use to take my boys on dates when they were younger. I sometimes go with my daughter, and it is a nice time. My son would rather satay home, but I know he hopes for a treat when we get back.